I thought it may interest members – If I were to do a few pieces on famous stars and their classic cars. So I am starting this off with a touch of glamour-and the wonderful screen siren that was Rita Haworth. Rita owned a 1941 Lincoln Continental-a luxury car marketed by Lincoln-a division of The Ford Motor Company. The Lincoln Continental was considered the flagship for this first generation of luxury cars. 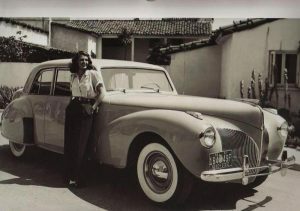 The 1939-1948 Continental is recognised as a ‘Full Classic’ by the classic car club of America, and is one of the last-built cars to be recognised as such. Rita Haworth (Born Mararita Camen Cansio) was born in 1918 in Brooklyn New York. She appeared in over 61 films in a career that spanned 37 years. She was very glamorous – and was the top pin up girl for American GI’s in World War 2. 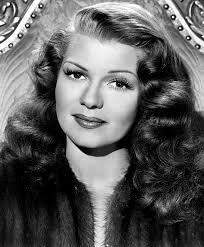 Rita died in 1987 at the age of 68 from Alzheimer’s disease-which back then was a little known disease. Rita’s death to this debilitating disease greatly increased public awareness and paved the way for increased funding into Alzheimer’s research. 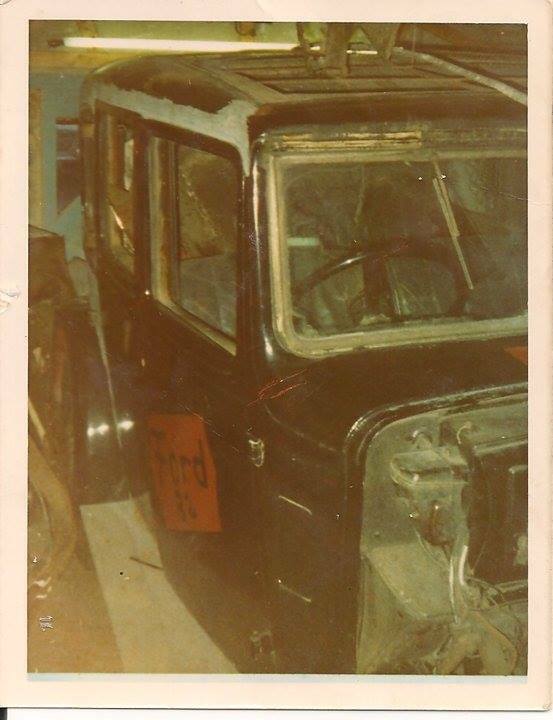 Over the years Paul has owned quite a few classic cars varying from Morris Minors to an Aston Martin V8. As a teenager Paul wasn’t keen on the new-fangled boy racer cars such as the Ford Mexico, the RS Cosworth or even the Ford Capri. He liked what he considered to be a proper car. 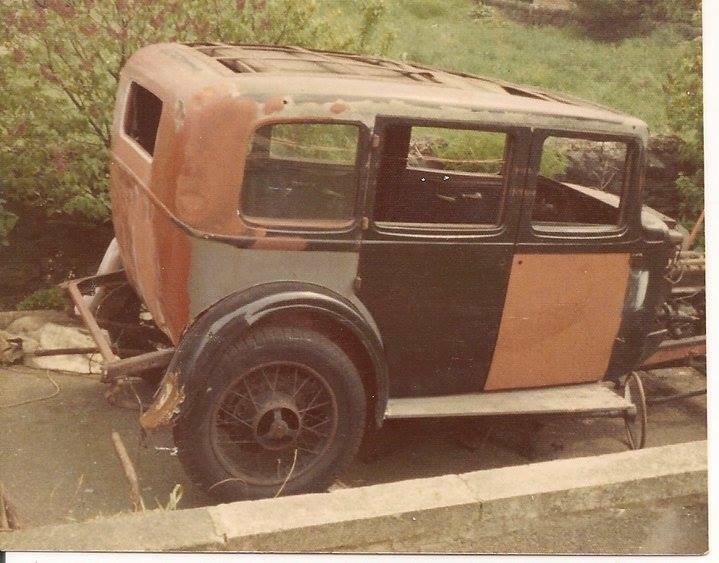 (He still does) So when his Dad told him that a work colleague of his was selling a 1934 Austin 16/6 which needed restoring Paul was instantly hooked. The next day Paul went to view the car. He loved it-and agreed a price with the car’s owner. 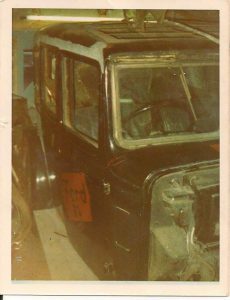 The only thing was that Paul was only 16 at the time and had just started work-so he didn’t have the cash to buy the car outright. The owner said he wanted £200.00 for it. Paul agreed to pay the full price providing he could pay in instalments of £10 per week. Reluctantly, the owner agreed. ‘Bye ‘eck you drive a hard bargain son.’ The car was his – Paul was thrilled. 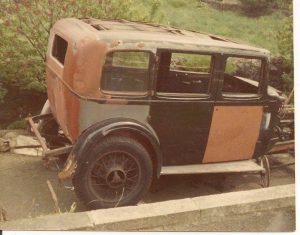 At the time Paul lived at home with his parents, so as you can imagine they were not exactly over-joyed at the prospect of having a non-running large ‘classic car’ permanently parked on their drive. (Nothing changes) As time went on and Pauls interests changed. (i.e., Beer and Girls) Sadly, the car was abandoned as the initial euphoria of owning it wore off. Paul did buy a new engine for it that he dismantled from a Chevy V8 1964 Impala. The other car that Paul still wishes he owned and I must admit I totally agree with him on this is the Aston Martin V8. We were at work one day (We worked together) casually looking through Classic car Exchange & Mart. For years I had fancied an E type jag, but the ones I liked were out of our price range. 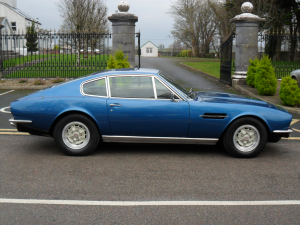 Paul said well how about an Aston Martin then? I thought he was joking so playfully said ‘yes ok then if it has the same area telephone code as we do-then you can have it!’ I never expected that it would but fate was on Paul’s side that day as it did the area code was 01723-I could not believe it- I was dumbstruck. We went to look at it the same day loved it and we bought it. 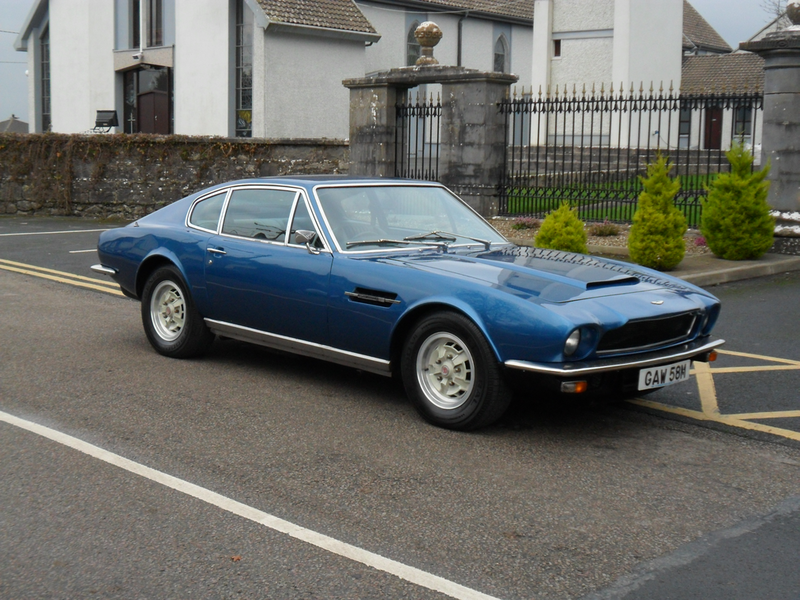 A beautiful car- built in 1973- and therefore one of just 288 Series 2 built from 1972 through to 1973. It was finished in blue with contrasting Black hide interior. With a V8- 5 litre engine it was a nightmare on petrol-but definitely a head-turner and a lovely drive. 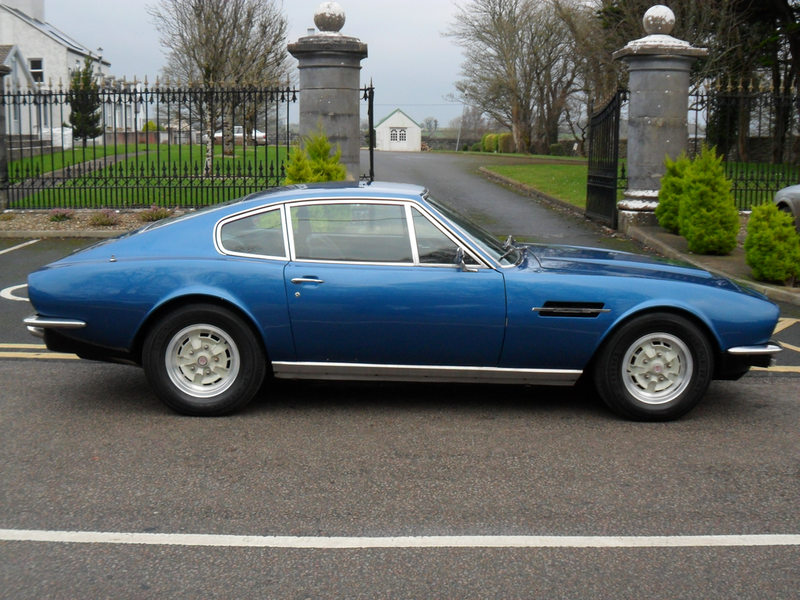 Unfortunately, when we moved to Spain, we had to sell the car as the saying goes ‘One cannot have everything.’ We have since seen the car up for sale in Ireland at considerably more money than we originally paid. Still that’s life I suppose. If you have a story about-the one that got away-please email me wendyrhodes1@msn.com.